Students become easily confused between anode and cathode, oxidation and reduction, and electron flow during electrolysis. To help your class keep it all straight, color-code the reactions! 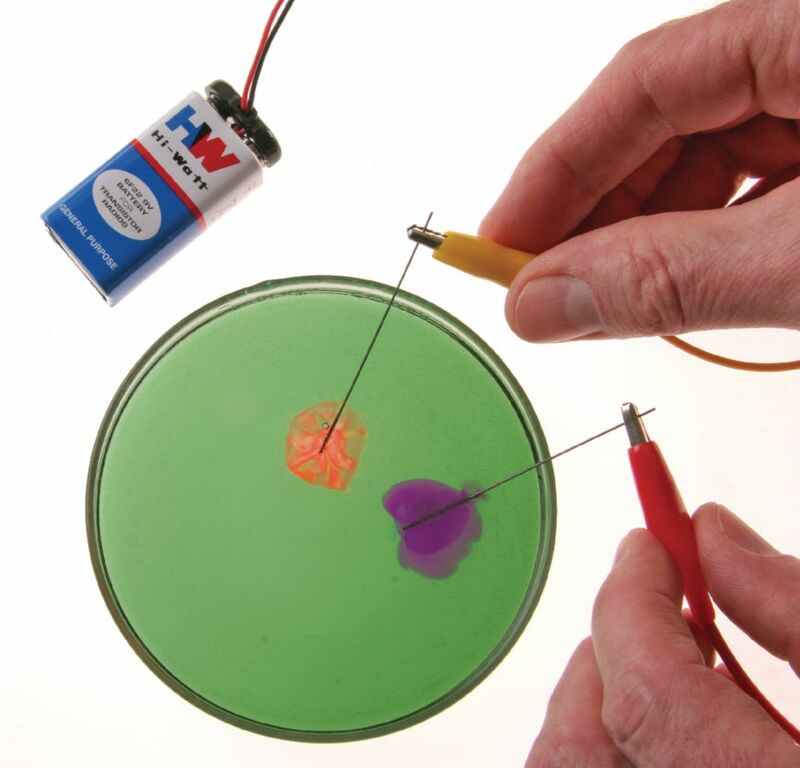 Simply attach electrodes to a 9-volt battery and place them into a Petri dish containing universal indicator, then let the electrolysis begin. After writing out the two half-reactions, one quickly realizes that the oxidation reaction produces protons and the reduction reaction produces hydroxide ions. Look for the change in pH and students will start to solve the puzzle and clearly understand the concepts. The Teacher Demonstration comes with enough materials for demonstration to be repeated 10 times, while the Laboratory Activity comes with enough materials for 8 different set-ups. Note: 9 V batteries are required, but not included in either kit.